Our company was founded in 2011 with 25 years experience of aluminum extrusion. Periods without the production of aluminum profiles puller, clamp the profiles were removed. During this period we began to identify the problems which we live and at every point, from our experiences that we have developed over time. Aluminum profile produced by combining our experience with our knowledge of machine design innovations offer the service sector. Aluminum profile extrusion industry due to the ever-increasing demands knowledge, experience and innovation are needed. Our company was established to meet those requirements. Aluminium profiles, press and then the appropriate mold, the operator and conveyor systems are left to cope with. Operators with backward technology and machines hard not problematic, and problems can not control the profile begins at this point. For this reason, efforts have concentrated on the conveyor profile. 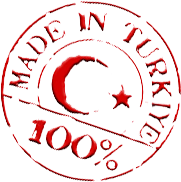 Our systems are being imitated, completely manufactured in Turkey. Made in Turkey with a completely new designs under the umbrella of the production of extruded profiles is time Alkoneks lines.